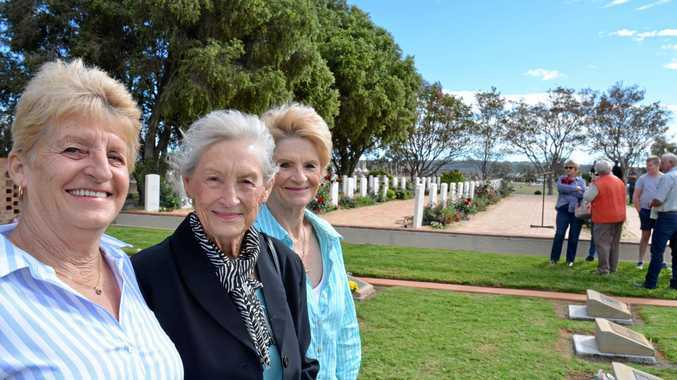 AUSTRALIAN representative rugby player Heather Ballinger was among the crowd of people to mark centenary celebrations at Scots PGC College. 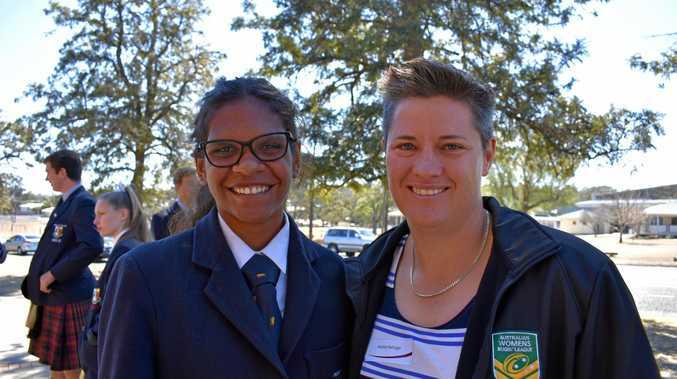 The talented sportswoman, who has also represented Queensland on the footy field, said the schoolyard was where her successful sporting career was able to blossom. Reflecting on her time at the Warwick private school, Ms Ballinger said although she had graduated almost two decades ago, the lessons she learned inside the school gates had been ones that would last a lifetime. "All the little day in and day out things the school teachers you, respect, manners, discipline, integrity, you don't know it but they follow you when you leave school," Ms Ballinger said. The guest speaker said students today had the world at their feet. "The students are offered incredible opportunities in their studies and sporting, there's so much more available for them," she said. Joining her on stage was the school's girls boarding captain, Tshinta Kendall, who was a Commonwealth Games torch runner earlier this year. "The school has given me a great platform to follow various sporting achievements and support in my education," Tshinta said. "Because of the small community and the traditions we follow, there's a strong relationship among the students and we are all really appreciative to be celebrating the 100th anniversary." A special address from past student, 90-year-old Alison Nicholson was also shared at the assembly. Ms Nicholson was the daughter of Alison DeConlay who was part of the school's first enrolled class. Warwick saw Presbyterian Girls' College open its doors on August 14, 1918 and has continued to grow progress over the past century. "The college has evolved over time and changed significantly with the three distinct sub schools, junior, middle and senior all in one location," marketing and events officer Helen Bohm said. "Scots PGC has educated over 11,000 students in its 100 years, focusing on involving the college and its community in every possible opportunity to promote and support Warwick."